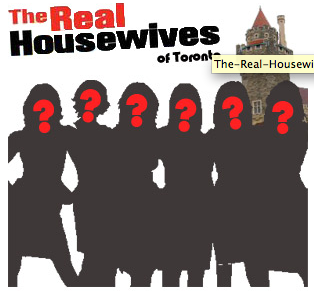 XOXO Jes - Canadian Entertainment News: Real Housewives of Canada? Andy Cohen, executive producer of the Real Housewives franchise, said that the last Housewives series was going to be Miami...no more. Now it looks like another production company, Lark Productions out of Vancouver, is in the early stages of casting for a Canadian version of the show. Supposedly Jessica Mulroney, wife to eTalk annoyance Ben, is in discussion to be on it. Ahhhhh. Gross. Didn't we already have a show like this? Wasn't it called Hockey Hos or Trophy Wives of Hockey Guys....or something? Does the world really need another Housewives show? And of course, as usual, Canadians are a couple years late to the party...so late that the party is actually over and people are being kicked out.